Information and links to specialist outdoor clothing brands who produce shooting clothes designed for the specific needs of the shooting enthusiast, life in the country and country sports. 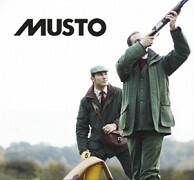 Musto is one of the world's leading country clothing manufacturers, Musto garments provide sporting users with high standards of comfort and protection for all conditions. Kammo has been making and selling top class technical performance clothing to serious field sportsmen and sportswomen since 1971. KAMMO gives you supreme weatherproofing. Shark Country is a range of technical clothing for hunting, shooting, fishing and general outdoor activities which is inspired by and tested in some of England's wildest terrain. Top Gun Clothing products are designed by shooters, tested by shooters and are produced for shooters to the highest standards, using the latest high tech fabrics and finishing processes. Alexander James is a small but dedicated family business of bespoke tailors offering a personal service to those who seek quality outfits dedicated to their own country pursuit. Wearite have been manufacturing outdoor garments for 40 years and supply a range of classic english country clothing including jackets, trousers and caps. Men's and women's outdoor activity and country sport clothing collections, whether youÃƒÂ¢Ã¢â€šÂ¬Ã¢â€žÂ¢re a country enthusiast or working and living in the city, thereÃƒÂ¢Ã¢â€šÂ¬Ã¢â€žÂ¢s a Barbour product for you. The Gumleaf Country clothing collection is unique, functional, waterproof, durable and with designs which allows them to be appreciated in the City streets as well as the countryside. 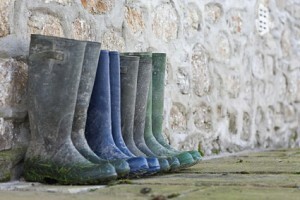 Country Innovation offers a range of products for the outdoor enthusiast including jackets, trousers, waistcoats, fleeces, footwear and accessories.